1. 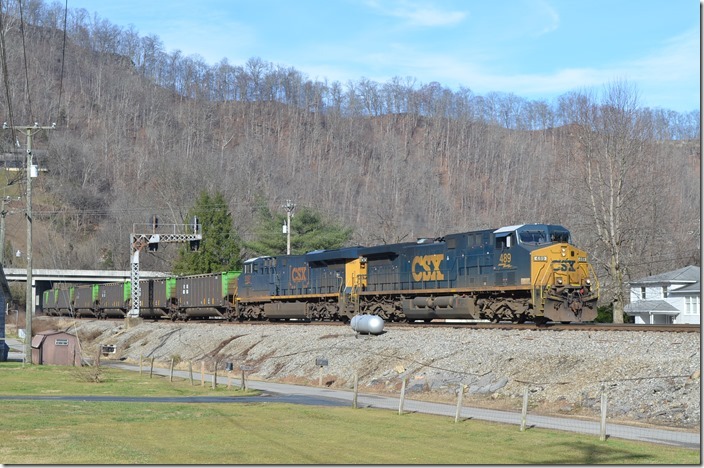 Shifter C860-26 with 489-3097 takes over an eastbound train of GGPX empties that have been tied down at Fords Branch on double track. Fords Branch. 2. 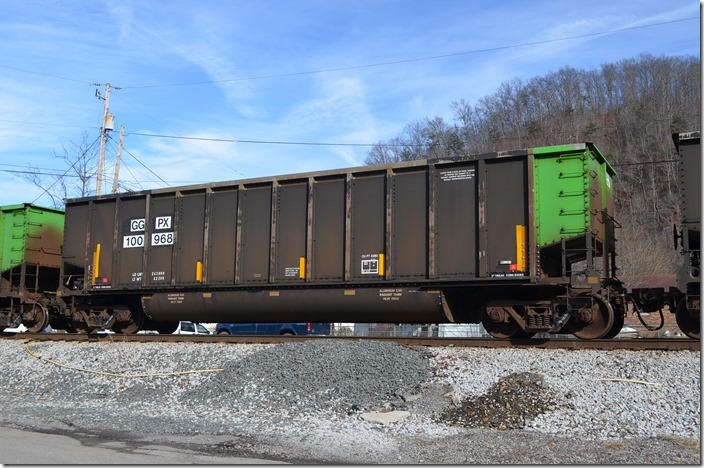 The entire train was GGPX tubs built by Johnstown-American in 1998. 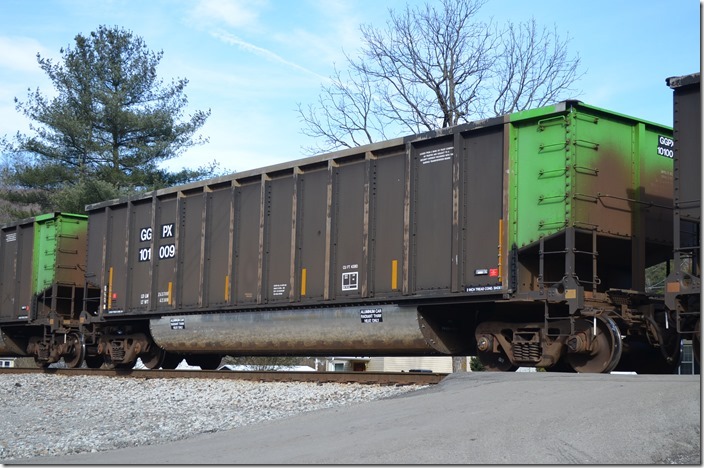 GGPX tub 100968. 3. On many, the “tub” appeared to be unfinished, unpainted steel. GGPX tub 101009. 4. 5397-5313 followed with eastbound grain train G652-23. Fords Branch. 6. Crossing Shelby Creek. 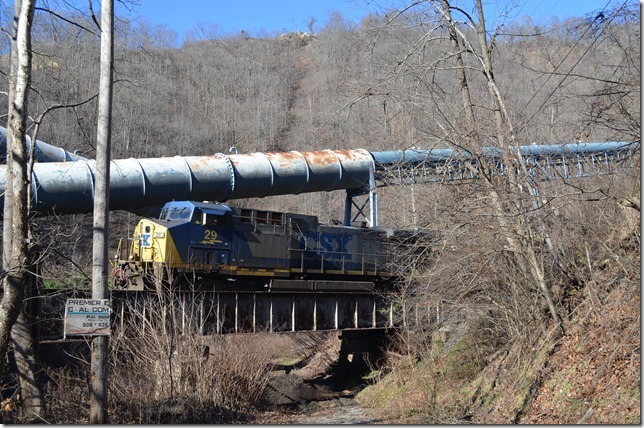 CSX pusher 489-3097 at Collins. 7. 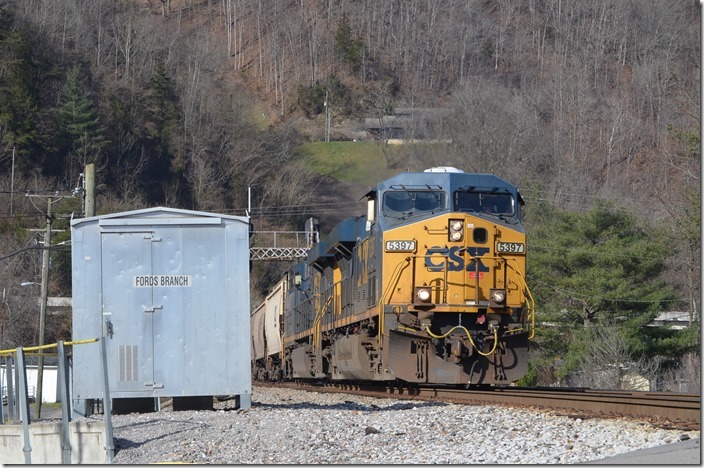 CSX 29 - C860-26 passing the inactive Landmark tipple at Esco. 8. 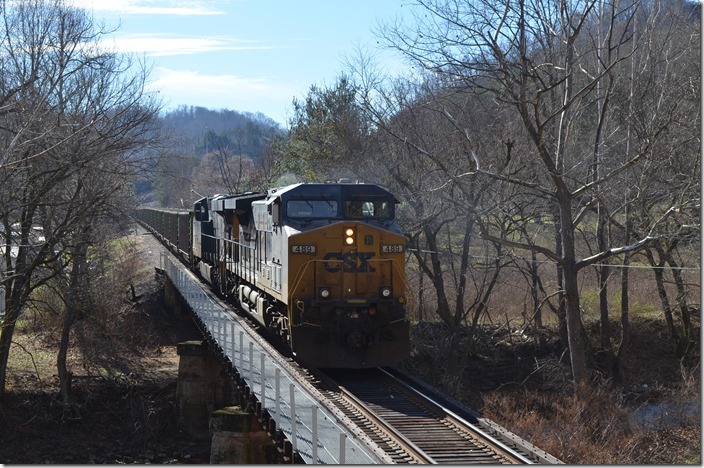 CSX 29 - MP 9 at Penny. 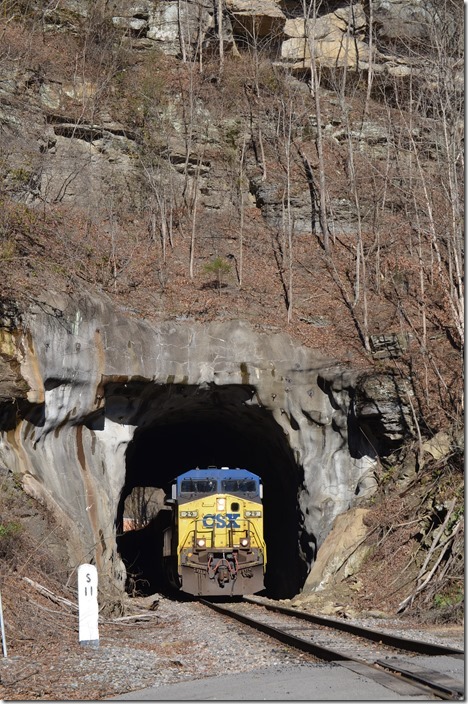 Looks like it is coming out of a tunnel, but it isn’t. 9. 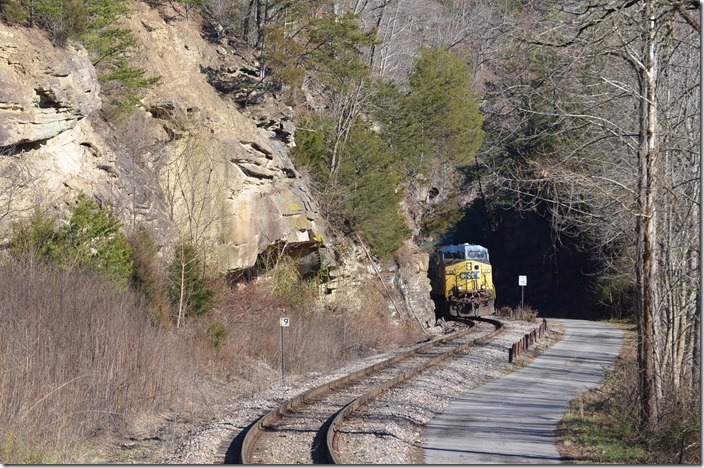 CSX 29 coming out of Long Fork Tunnel at Virgie. 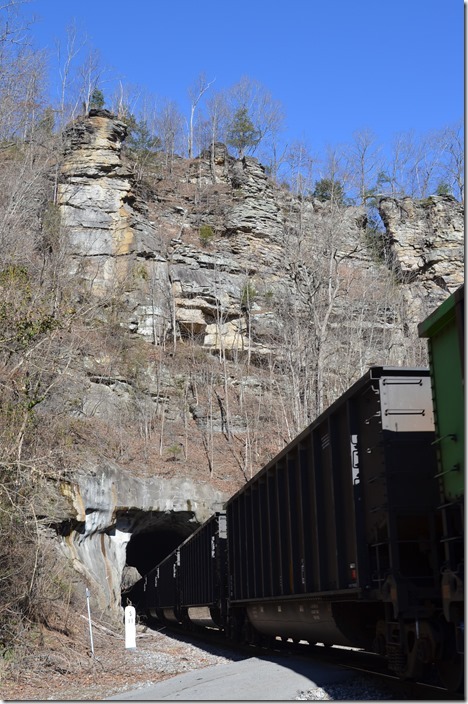 Repairs were made years ago after the tunnel was set on fire. 10. 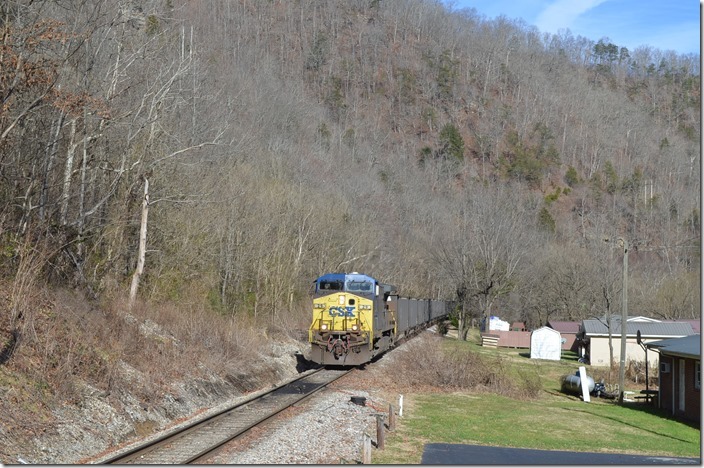 CSX 29 at Virgie tunnel - view 2. 11. 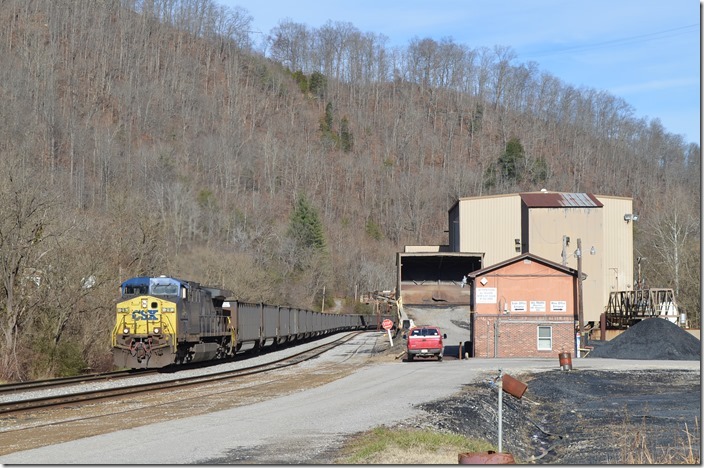 CSX 29 arriving Premier Elkhorn Coal Co at Myra mine.